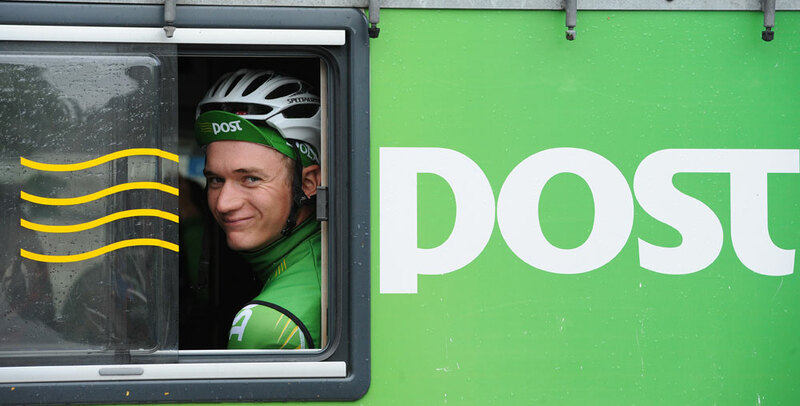 AN Post-Sean Kelly rider Mark McNally is ready to make the move up to the next level. Significantly, McNally was third at yesterday’s Omloop van het Houtland too from a breakaway of eight. The Liverpudlian indicated he would be content to stay at AN Post. “Belgium is like my second home. I’m more than happy here, it’s a really well organised team. We get well looked after,” he added. Andy Fenn and Matt Brammeier. McNally has a representative talking to other teams for him; CW understands that Europcar and United Healthcare have shown interest in signing the 22 year old. The popular Revolution track series is back at Manchester Velodrome for a ninth season this winter, with a slightly-different format. The team competition remains, but the squads will solely comprise of endurance racing. In a return to the fierce national team face-offs of former series, sprint racing will be a separate entity. “By making the championship endurance focused, the teams and the racing will be more authentic,” promoter James Pope said in a press release. The cyclo-cross season is underway – and British stars Ian Field (Hargroves Cycles) and Helen Wyman (Kona Factory Racing) are already off the mark. They have spent the last fortnight in the USA, doing plenty of races and racking up valuable ranking points. Most recently, last weekend, Wyman won both rounds of the C2-rated Charm City cyclo-cross in Maryland ahead of Laura Van Gilder. Field won the first race there ahead of Belgian Tom van den Bosch, who reversed the score a day later. Earning a strong UCI ranking is important in order to be gridded as highly as possible at the year’s important races. The European season starts in earnest on October 9 with the opening round of the Superprestige series in Ruddervoorde. The same goes for the domestic calendar too, as the National Trophy gets underway in South Shields. Hell’s Belles, the UK’s first female bicycle polo tournament, takes place at October 15 and 16 at London’s Newington Gardens. The ladies of London Hardcourt Bicycle Polo Association put on their armour and created a glamorous promotional video. After having a store in Sutton for 151 years, Pearson Cycles are branching out and opening another. Tomorrow sees the official opening of their Performance Store in Sheen, west London. It’s quite an offering too, with performance bikes like Ridley and Serotta, precision Cyclefit bike fitting, sports therapy, servicing and an in-house coffee bar. The store is on 232 Upper Richmond Road, SW14 8AG – just two minutes from the London cycling hub of Richmond Park. The opening is from 5.30pm onwards.